Photography is an interesting art form. A simple black and white photograph add colors to the life of many people. With all the advancement happening around, the marketing teams of many business organization are using photography on a large scale. As the visual content interest people more, all the online marketers see to it that they perform the ecommerce product photography well and also make use of amazing pictures on their websites, so that they do not disappoint any of their customers and thus lose sales. Whenever we see a photograph, we notice the main subject but, we hardly notice the background. While reading blogs of professional photographers, we have seen that they state background as an important element of the picture. Let us tell you that if you choose a perfect background for your photography then, it will make your subject stand out and improve the photography. But, if you choose a bad background you are definitely going to end up with a messy picture. Now, the demand for photography has increased so much that even the fashion bloggers make sure that they hire professional fashion photographers who click wonderful pictures. There are few rare bloggers and ecommerce store owners who try to photograph their products or picture themselves on their own. Sometimes things go perfectly fine and sometimes few blunders take place. If you belong to the second category, you have arrived at the right destination. Here, in this article, we will guide you through few DIY backgrounds that you can use for your product photography, for your blogging purpose or for your website content. If you love playing with colors, you should definitely try using this background. 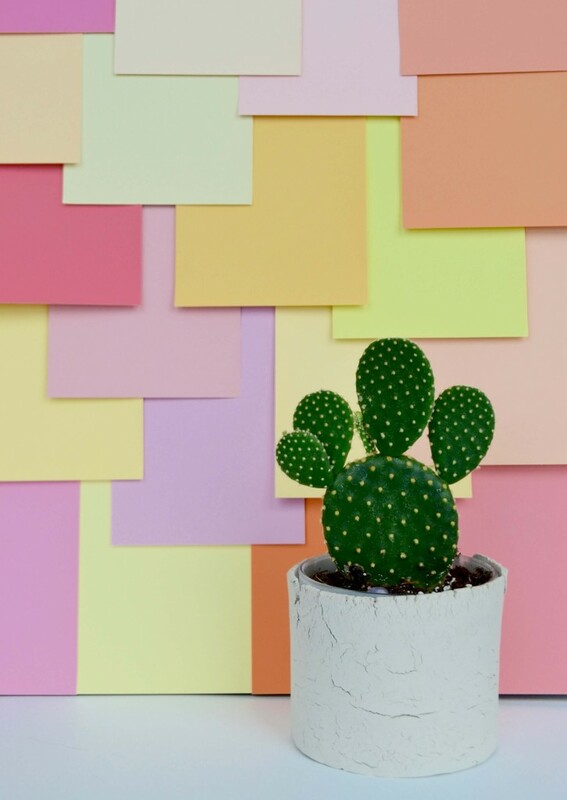 Now, how can you make a colorful blocked photo backdrop? Few papers of warm colors, few papers of cool colors, a cutter, a cardboard, a masking tape, a pencil and a scale. Cut the papers into 4”x6” blocks and start placing the pieces on the cardboard from bottom to top. Once you are satisfied with the order, put the masking tape on the pieces and stick the pieces to the cardboard. Repeat the same on the backside of the cardboard. You may mess up at first but, trust us the final results are amazing and colorful. You can use this photograph pictures of products like perfume bottles, plants or even the book ends. The bokeh effect does wonder to an image. To the people who are unaware of books, let us tell you that bokeh is an out of focus or blur area in the background of a picture. It just pops the main subject in an extremely beautiful way. How can you achieve this effect? Christmas or Fairy Lights, Tape, Rope, and a mono colored wall. How to prepare the backdrop? If you are someone who cares a lot about the walls of your house then you should just find a place where you can hook the rope in a horizontal manner and directly drop the lights on it. The other option is that you can tape the lights to the wall. Make sure that there is no extra light coming from behind other than the bokeh light. The more your subject is away from the background, the better the picture. If you are going for food photography or jewellery photography, this backdrop can come in handy. The rustic look of a wooden block adds a natural effect to your picture. Two square wooden blocks of size 23″x23″ and thickness 1/4″, three thick pieces of wood, a saw, nails, measuring tape or scale, pencil, acrylic paint (color of your choice) and hammer. You can also use an old wooden piece. If you are not into carpentry then we would suggest that you should get it done by a carpenter. But if you want to give it a shot, start by taking measurements, divide the first square block into six pieces and repeat the same with another wooden square block. Next, place the six pieces of wooden on a table in the alignment (vertical or horizontal) you want. Place one thick wooden block in the middle, the other just above the middle piece and last piece below the middle piece. Once the alignment is proper, fix it with nails. Now, place the remaining six pieces of the wooden block above the thick pieces we have arranged. And fix those with the nails. Now paint one side of the wooden block with the one acrylic color paint and the other side with other acrylic color paint. Your final piece is ready. The rusty natural look of the wood when photograph perfectly, can get your website many views. Well yes, a fabric can be used as a background. Especially, if you are capturing a kids model, the colorful fabrics with alphabets, numbers or cartoons on it just define the age of little children very well. A fabric (of your choice) and a tape. If you are shooting from a top angle, you can just place the fabric on the floor and place your subject on it. Or the other method you can use for front angle shots is that you can tape the fabric to the wall and place the subject in front of the background. Also, you can tape the one end of the fabric to the wall and another end to the floor then place the subject on it. And you are good to go. There are n numbers of fabrics available in the market, make sure you choose the right fabric that goes well with your subject. If it a perfect match then, you will surely get the best shot. These are few DIY backgrounds that you can use for the photography of your website. If you want to know more such backgrounds do visit this blog by diyroundup. Do let us know in the comment section below what do you think about this blog.